More than 15 base weapons will be tuned in the next update. 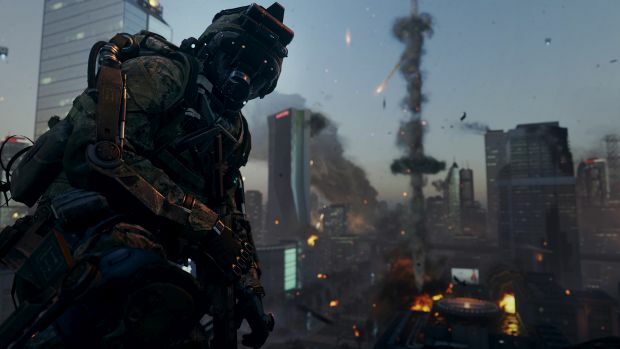 Sledgehammer Games continues to work on Call of Duty: Advanced Warfare – it currently has a new patch in the works that will balance a significant number of the games base weapons. According to studio co-founder Michael Condrey on Twitter, “Weapon tuning on 15+ base weapons coming shortly.” The SN6 SMG is one of those weapons but details on the others weren’t revealed. Condrey also addressed concerns regarding loot drops, especially with regards to Elite items, and said there would be more ways to get them with the next patch. Perhaps this will depend on one’s Prestige level as hinted here? Other fixes are also due in the patch – players who leave matches during League Mode will apparently suffer some form of penalty, for example – but we’ll have to wait until the patch is out to know what they are. What are your thoughts on Call of Duty: Advanced Warfare these days especially with the upcoming patch? Let us know in the comments.